Gorgeous card Jenny :-) this image would be perfect for my daughter ,,, always shoe shopping !!! Cute, cute; love the colors and those gems are delightful. Love that image! Your layout, layers and paper are divine! 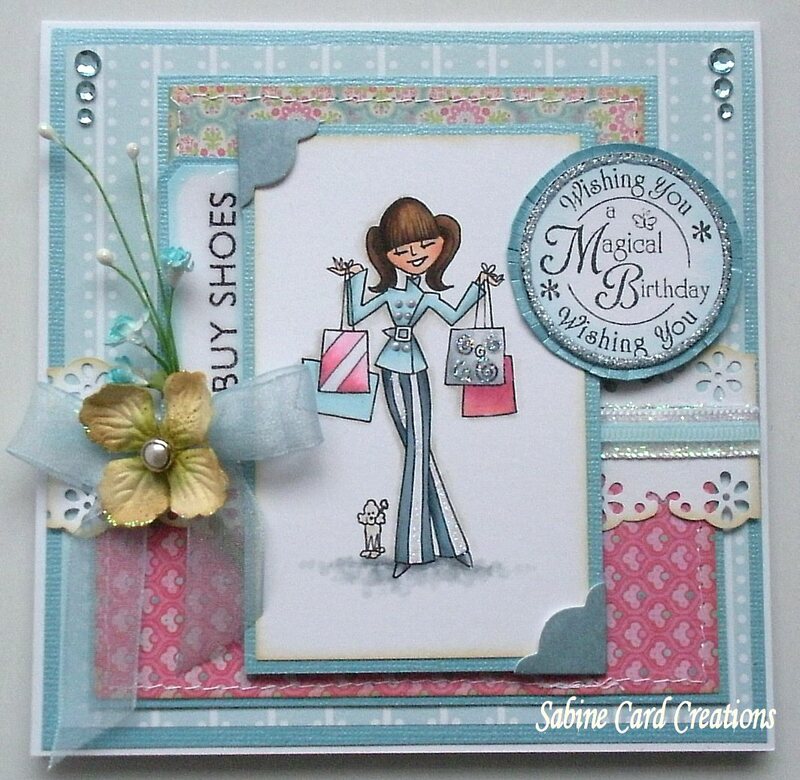 Fab card, love the colour combination! Absolutely adorable, Jenny!! Love the layout and colors, and that image is too cute!